Officer Scott Johnson has been employed by the New Bern Police Department since April of 2012. He became a Traffic Officer and was Motor Officer Certified at the NC State Highway Patrol Basic Police Motorcycle Course in March of 2014. 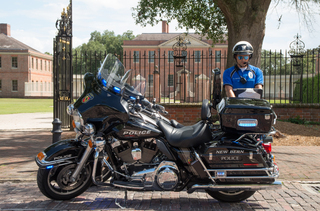 He graduated from the NC State Highway Safety Program BikeSafe Assessor School in July 2014.